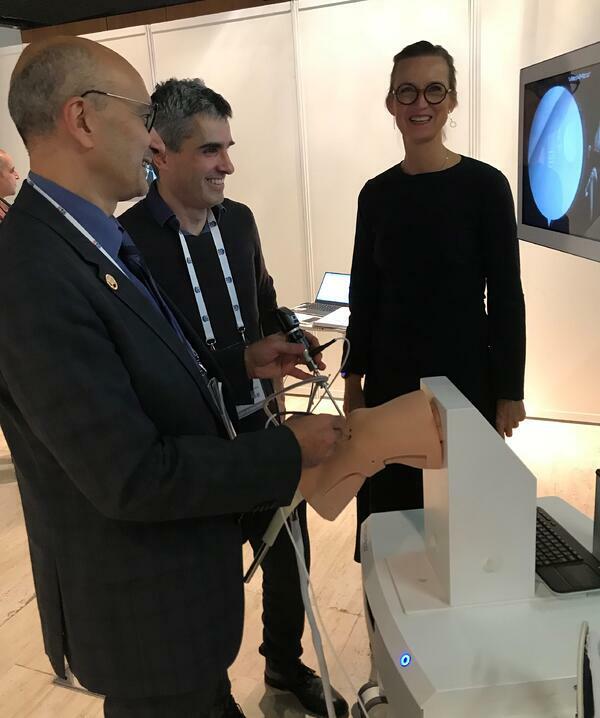 VirtaMed’s presence at the French Society of Orthopedic Surgery & Traumatology congress (SOFCOT) in Paris held in November 2018 was a great success from multiple perspectives. 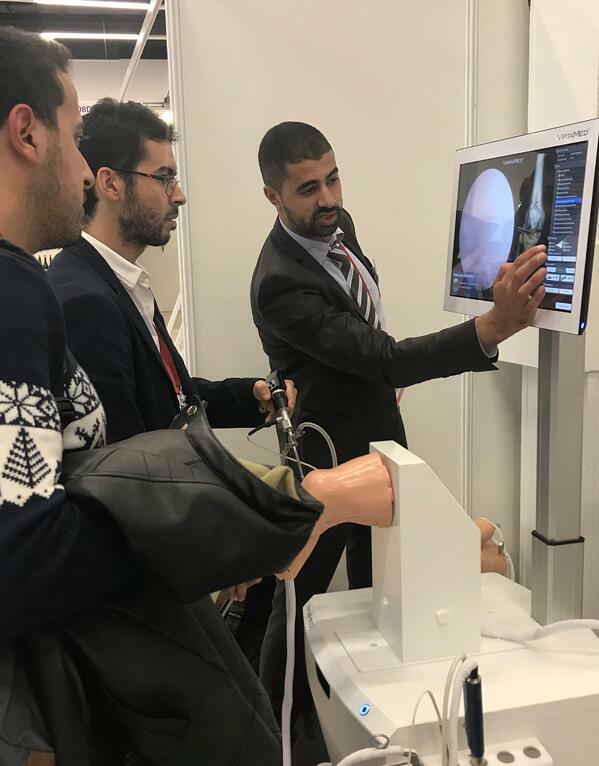 As a product of our highly valued long-term collaboration with the French society of Arthroscopy (SFA), the French College of Orthopedic Surgeons and Traumatologists (CFCOT) and the board of SOFCOT, a competition was organized using the VirtaMed ArthroS™ for orthopedic residents coming from all over France and the Maghreb. With a fantastic turnout of over 200 surgeons in training lining up to take part, impressive results and insights were collected. 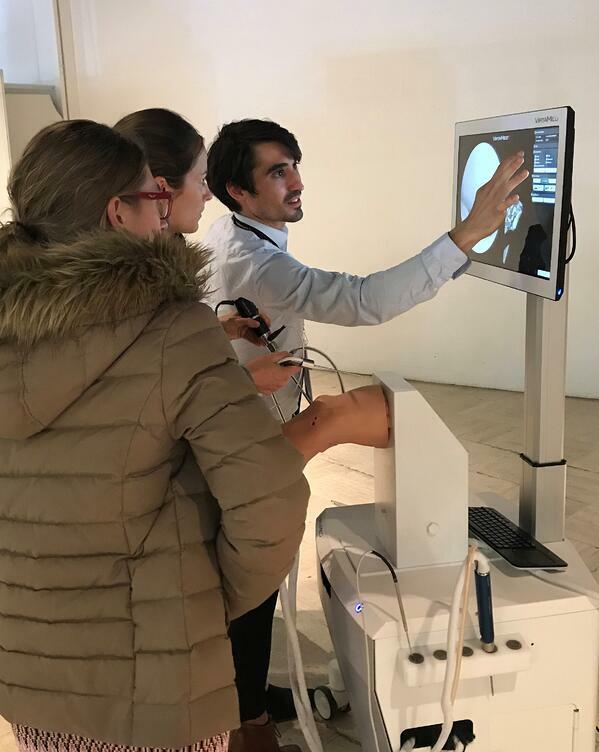 Titled “Defends ton CHU” (“Defend your university hospital”), the competition challenged the residents to represent their institution and showcase knee arthroscopy skills through selected cases on VirtaMed simulators including a simulated diagnostic tour and a simulated therapeutic case. Data was collected and analyzed, such as correct execution of the procedure, scratching of the cartilage and time of the procedure. 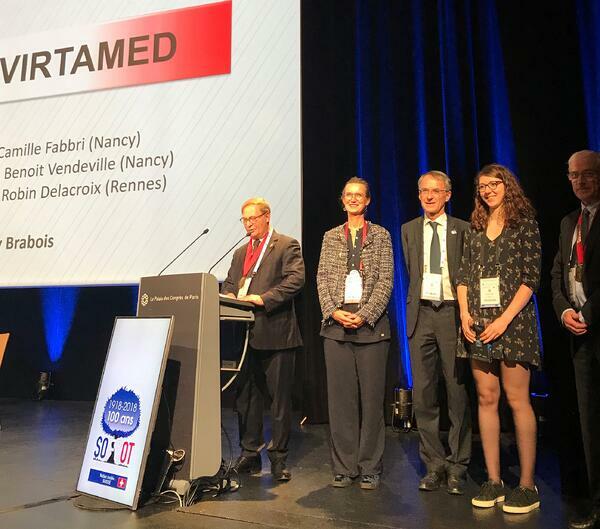 Following two days of competition, a young female resident from Nancy Regional University Hospital was announced as winner by the SOFCOT board. Dr. ès. sc. tech. Martina Vitz, Head of Training & Education at VirtaMed, noted that the winner had the highest score whilst not being the fastest but the safest and most accurate. Congratulations to Camille Fabbri for achieving the highest score! 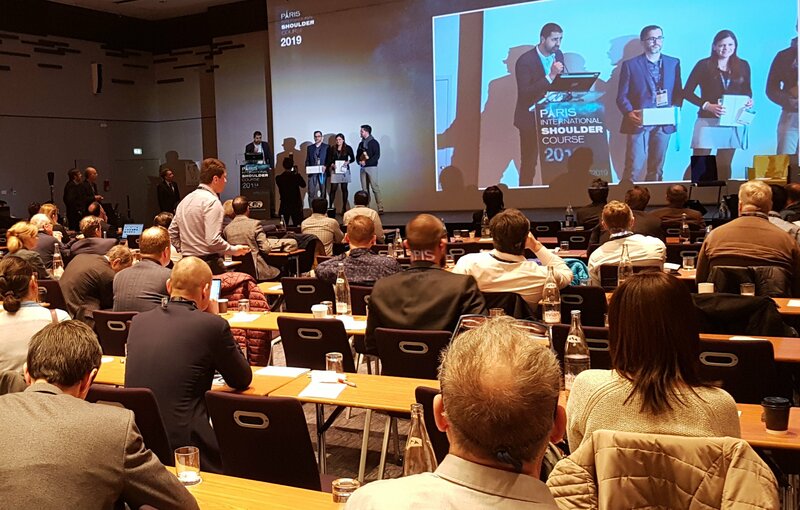 “The participation exceeded our expectations”, noted the SOFCOT board, foreseeing that such form of competition for young surgeons should definitively be organized in the upcoming year. 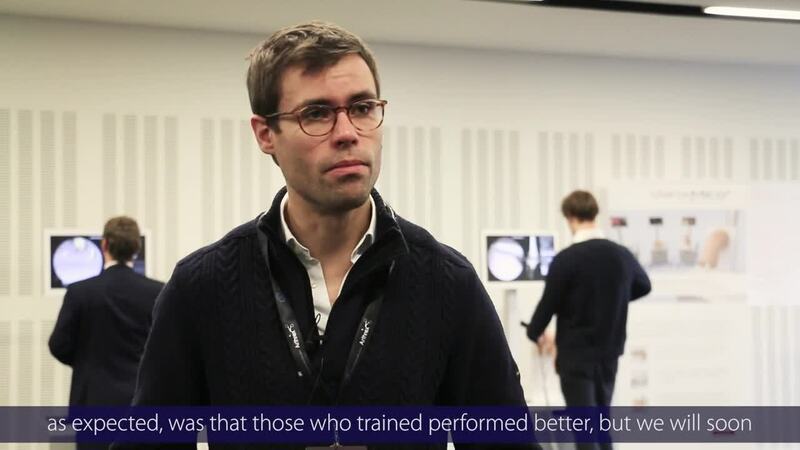 A fact that stood out from survey results conducted by the Junior French society of Arthroscopy (SFAJ) during the competition is that 51 % of participants had no previous training experience with knee arthroscopy. Consequently, upon completing the competition, the majority of residents were eager to take up further rounds of training on VirtaMed Knee, Shoulder, Hip and Ankle simulators to acquire more practical experience. The high demand expressed by young generations of surgeons, supported by feedback on feeling more familiar and gaining confidence through training with hands-on experience, enhances surgical simulation as a meaningful component in surgical training. Successful cooperation on this study further continued at the SFA congress held in December 2018 in Strasbourg, providing fruitful results for additional research. The main question behind this research is to find out the level of proficiency of young arthroscopists that just finished their specialization without having benefitted from surgical simulation training. At the SFA congress, these doctors were invited to be evaluated on the VirtaMed ArthroS™ as their predecessors were in 2017. We are keen to learn more about all those interesting studies conducted by the SFA and CFCOT and happy about the trust put in VirtaMed.